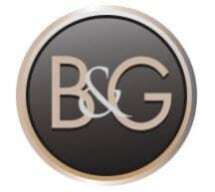 The law firm of Bailey & Galyen is a nationwide law firm based in Texas. At their Fort Worth family law offices, the focus is on effecting equitable divorces and agreements on custody, visitation and financial support that are in the children's best interests. A Bailey & Galyen attorney can educate you about the requirements of the law and will be on the lookout for your best interests. If you choose, the attorney can attempt resolving difficulties via divorce mediation or the collaborative divorce process. Your attorney will do whatever is legally possible to assure the best outcome. Family law requires a gentle but assertive touch. At Bailey & Galyen, we explain the legal process and guide clients through the options. We explain at-fault and no-fault divorces. We address issues relating to divorce, alimony, division of property, prenuptials, father's rights, paternity suits and family mediation. Our Fort Worth team does much more than just family law. Bailey & Galyen represents clients in criminal defense, bankruptcy, immigration, estate planning, Social Security, business law and more, but our firm has a single unifying mission: "solving your legal puzzle.™"
We make an effort to create an office environment that is upbeat, honest and comfortable for you. Your comfort, convenience and budget are important to us. We offer a free initial consultation. We are within reach by telephone day and night. We have attorneys who speak Spanish. We have guided many families through these changes and helped them come out safely on the other side. Call Bailey & Galyen today, and take the first step toward your new life.